Polka dot washbags made in lovely soft oilcloth making them wipeable and durable. 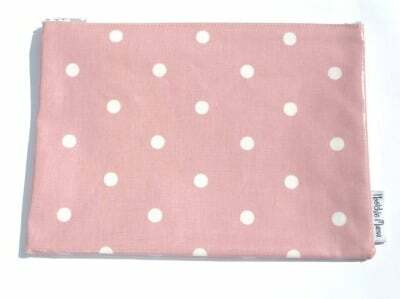 Pink Polka Dot washbag made in lovely soft oilcloth making it wipeable and durable. A beautiful bag for keeping toiletries in and also perfect to pop a nappy & some wipes in for on-the-go Mums. Washbag measures 26cm x 18cm.